Klio and Grace started their collaboration in 2015. They take pleasure in exploring works that range from classical to contemporary as well as creative, improvisatory projects. They are always looking to create that common language to all ears, one which will bring down barriers and reach a wider, more diverse audience. Both international artists, they presented one of their most recent programs, Tales Without Words, at the International Chamber Concert Series at the Megaron Hall in Thessaloniki, Greece. 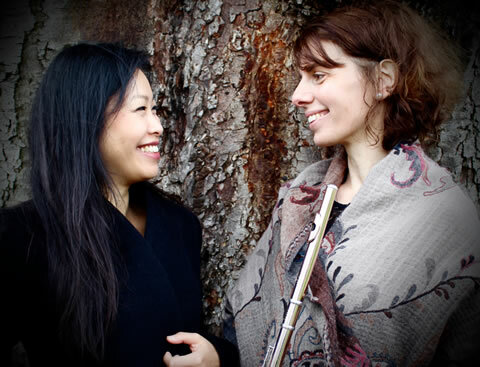 This Autumn season saw them pairing up for two concerts with violinist and BBC magazine award winner Fenella Humphreys performing Bach's beautful Trio from The Musical Offering as well as Rota's exciting flute trio, receiving excellent reviews.